lemon-urban has no other items for sale. 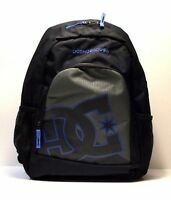 DC Shoes Backpack New Kid, Color Wheat/Black/Orange, Style 9153040802. Free shipping on orders over $150.00 when you buy lemon-urban's other eligible items. $4.00 shipping for each additional eligible item you buy from lemon-urban.